Georges Charpak – French physicist. A Polish-born French physicist, winner of the Nobel Prize for Physics in 1992 for his invention of subatomic particle detectors, in particular, the multiwire proportional chamber, Georges Charpak was born on 8 March 1924 as Jerzy Charpak to Jewish parents, Anna (Szapiro) and Maurice Charpak, in the village of Dąbrowica in Poland (now Dubrovytsia in Ukraine). Georges came into prominence for his invention of subatomic particle detectors, in particular, multi-wire proportional chamber. His invention was revolutionary as it changed the face of high-energy physics. Such was the use of multiwire chambers that by 1990s the detectors were at the heart of almost every experiment in particle physics. His chamber also began to have its application in medicine, biology, and industry. Interestingly, much before he was awarded the Nobel Prize in Physics for his invention, two researchers who used Charpak’s invention for identifying subatomic phenomena received their Nobel Prize. Apart from making historic scientific discoveries and invention, Charpak held numerous administrative responsibilities in his life. 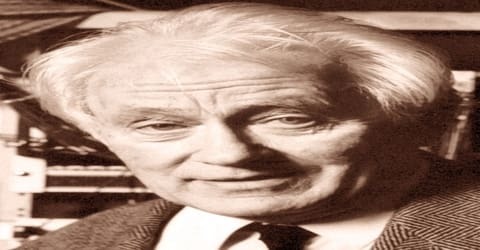 He was the professor-in-residence at École supérieure de physique et de chimie industrielles in Paris and member of the Board of Sponsors of the Bulletin of the Atomic Scientists. Georges Charpak (French: ʃaʁpak), was born Jerzy Charpak on August 1, 1924, to Anna and Maurice Charpak in the village of Dabrowica in Poland. His parents belonged to the Jewish community. He had a brother, Andre Charpak who eventually became an actor and film director. 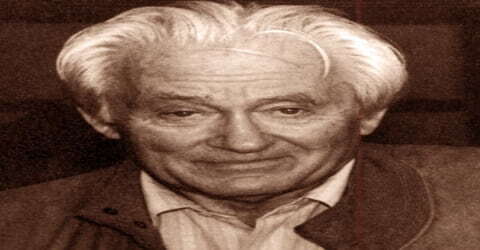 Charpak’s family moved from Poland to Paris when he was seven years old, beginning his study of mathematics in 1941 at the Lycée Saint Louis. Thereafter he studied at Lycee de Montpellier. The actor and film director André Charpak was his brother. During World War II, Georges Charpak served in the resistance. In 1943, Charpak was imprisoned by Vichy authorities. The following year, he was deported to the Nazi concentration camp at Dachau, where he remained until 1945. Liberated from the Nazi camp, Charpak resumed his studies, enrolling at the Ecole des Mines, a prestigious engineering school in France in 1945. Three years later, he graduated from the same, earning the French degree of Civil Engineer of Mines equivalent to Master’s degree. Following his graduation degree, Charpak became a student of Frederic Joliot-Curie at College de France in 1949. 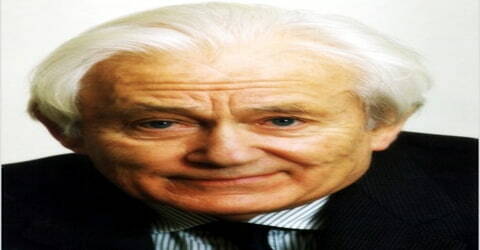 In 1954, he received his Ph.D. in nuclear physics from the College de France. The subject of his thesis was low radiation due to the disintegration of nuclei. Georges Charpak tied the nuptial knot with Dominique Vidal in 1953. The couple was blessed with three children. Charpak became a naturalized French citizen in 1946. While at the Collège, Georges Charpak secured a research position for the National Centre for Scientific Research (CNRS). 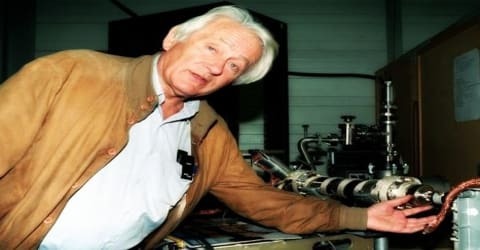 He received his Ph.D. in 1954 from Nuclear Physics at the Collège de France, receiving the qualification after having written a thesis on the subject of very low radiation due to the disintegration of nuclei (Charpak & Suzor). In 1959 Georges Charpak joined the staff of CERN (European Organization for Nuclear Research) in Geneva and in 1984 also became Joliot-Curie professor at the School of Advanced Studies in Physics and Chemistry, Paris. He worked there until 1959. It was there that he conducted his life’s most important research and discovery. Georges Charpak built the first multiwire proportional chamber in 1968. Unlike earlier detectors, such as the bubble chamber, which can record the tracks left by particles at the rate of only one or two per second, the multiwire chamber records up to one million tracks per second and sends the data directly to a computer for analysis. The speed and precision of the multiwire chamber and its descendants, the drift chamber and the time projection chamber, revolutionized high-energy physics. Charpak’s invention of the multiwire proportional chamber was revolutionary in the field of particle physics. Unlike its predecessors such as the cloud chamber or the bubble chamber which recorded the tracks left by particles at the rate of only one or two per second, the multiwire chamber recorded up to one million tracks per second and transmitted the data directly to a computer for analysis. Furthermore, old chambers depended on taking photographs of the tracks left by particles as they emerged from the collision but Charpak’s chamber used minuscule wires to capture electric pulse thus generating more information. Charpak was later to become a joint inventor with Nlolc and Policarpo of the scintillation drift chamber during the latter parts of the 1970s. Meanwhile, in 1974, he introduced spherical drift chambers for studies of proteins by X-ray diffraction. From 1979 to 1989, Charpak turned his interest to multistage avalanche chambers. He was involved in the introduction of multistage avalanche chambers and application of photon counters for the imaging ionizing radiations. He eventually retired from CERN in 1991. Towards the end of his career at CERN, Charpak participated in experiments at Fermilab (USA) from 1985 to 1991. He introduced chambers based on luminescent avalanches. He played an important role in the development of instrumentation for biological research using x-ray imaging. In 1980, Georges Charpak became professor-in-residence at École supérieure de physique et de chimie industrielles in Paris (ESPCI) and held the Joliot-Curie Chair there in 1984. This is where he developed and demonstrated the powerful applications of the particle detectors he invented, most notably for enabling better health diagnostics. He was the co-founder of a number of the start-up in the bio lab arena, including Molecular Engines Laboratories, Biospace Instruments, and SuperSonic Imagine together with Mathias Fink. He was elected to the French Academy of Sciences on 20 May 1985. Georges Charpak was a co-founder of a number of start-ups in the biomedical arena, including Molecular Engines Laboratories, Biospace Instruments, and SuperSonic Imagine, together with Mathias Fink. He was a member of the Board of Sponsors of the Bulletin of the Atomic Scientists. Charpak was a very strong advocate of nuclear power in France. He developed a radon detector to help predict earthquakes. Prior to this, he investigated radiation to find subterranean minerals. Georges Charpak was awarded the Nobel Prize in Physics in 1992 “for his invention and development of particle detectors, in particular, the multiwire proportional chamber”, with affiliations to both École supérieure de physique et de chimie industrielles (ESPCI) and CERN. This was the last time a single person was awarded the physics prize, as of 2017. In France, Charpak was a very strong advocate for nuclear power. Charpak was a member of the Board of Sponsors of the Bulletin of the Atomic Scientists. 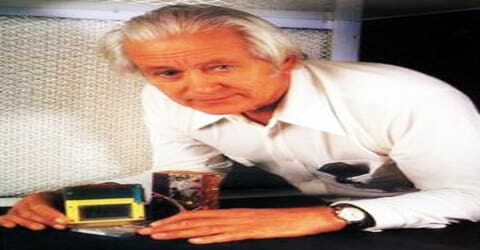 In 1992, Georges Charpak was conferred with the prestigious Nobel Prize in Physics for his invention and development of particle detectors, in particular, the multi-wire proportional chamber. In March 2001 Charpak received Honorary Ph.D. from the University of the Andes, Colombia, Bogotá. Georges Charpak breathed his last on September 29, 2010, in Paris, France. He was 86 years of age then.